A love-sick teen wandering his neighborhood finds himself in his ex-girlfriend Laura’s backyard. 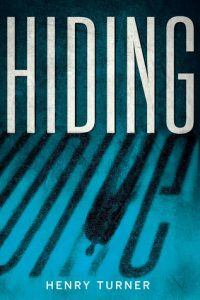 He slips into her basement and is trapped there overnight due to the alarm system, in “Hiding” (Clarion 2018) by Henry Turner. The next morning the family members leave but the maid arrives. And there’s a large dog in the house. He’s got time to think. He thinks about his close friend Suzy who knew everything about him, but Laura had let him hide, keep his secrets, so the mystery held, which had to do with why he couldn’t get over her. Besides discovering things about himself while trapped in the house he discovers plenty about Laura and what seemed like her perfect life. Why had Laura, a popular talented girl, chosen him when he was such a loser? Maybe she was attracted to a life that didn’t have to look perfect. Maybe her life wasn’t as perfect as she’d claimed. Is that why he was here? That’s one of his major questions. Why was he here? Why did Laura love his house and all the “dopey” artwork he’d done that his mother put up on the walls? He wishes his mom would tear them down. But he remembers Laura saying, “Don’t ever do that. She loves you. You’re so lucky to have that.” Ahah. He sees that Laura’s perfect house has no personal touches—it looks expensive and unused. Is that why Laura had never invited him over? Not because she was embarrassed by him, but because she was embarrassed by her own home? He describes a past experience when he pretended to be a rich boy—a day of lies. He says, “I’d made myself feel like nothing by not being me.” He’d sensed that there was something deep and dark in Laura, and in her house he discovers the truth of that. That’s perhaps why they were initially drawn together. Laura had hidden from herself. “That’s the most dangerous kind of hiding. Everybody knows you, but you’re not really there, even for yourself.” There’s a lot to discuss in this book. The humor is wry. He’s upstairs wandering and avoiding the maid, and we readers are nervous for him. The living room furniture is reddish so he grabs a reddish tablecloth and hides behind it so the surveillance camera doesn’t detect him skulking through the house. I found his teen voice refreshing at the outset. Eventually all the repeated phrases such as, “if you know what I mean,” “sort of,” “you know,” “in my opinion,” grew annoying but made it a great candidate for practicing speed-reading. “He” is named only in the surprise twist ending, in the last lines of the book. Good for thoughtful readers.